Buy Opua Cruising Club merchandise. Help support the Opua Cruising Club by flying the burgee, wearing the t-shirt or buying the calendar. The new range is here, see below. The new season items are now available, click to download the catalogue. Please be sure to contact the OCC secretary when buying anything to be sure we have T shirts in your size and to confirm postage costs. Email secretary@opuacruisingclub.co.nz. For overseas orders, additional shipping charges will apply. Please contact secretary@opuacruisingclub.co.nz with your requirements and we’ll get back to you with the total cost. To Shop: Simply visit the bar next time you’re at the club, and you can purchase any of the items. From October 2018 to September 2019. Handy to keep up to date with club events, and they make great gifts too. 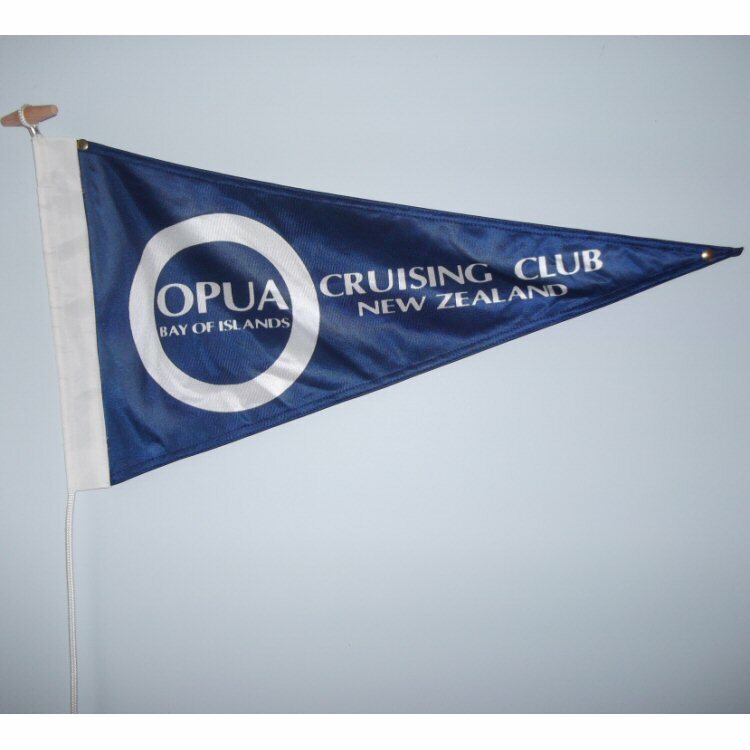 Screen printed burgee with the Opua Cruising Club insignia.